American Greetings goes all-in with ThankList, an immersive multimedia experience from Mullen that encourages people to thank those who've made an impact on their lives. Two-time Oscar winner Barbara Kopple (for the documentaries Harlan County USA and American Dream) created five short films through production house Nonfiction Unlimited for the campaign, each focused on a different individual's ThankList. The subjects thank friends, family and mentors for helping them through hard times and making them who they are today. Overcoming major life obstacles is a common theme. 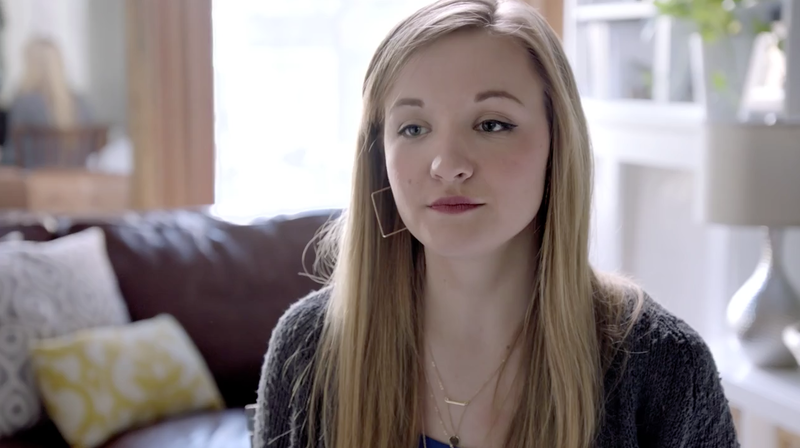 A young woman named Lexi thanks her mom for helping her beat a serious eating disorder, while Ron, a middle-aged cancer survivor, tells viewers how his family's love and support sustained him when, at age 13, doctors told him he'd soon die from his illness. The tales are a varied lot, all compelling and well told, but the story of Air Force pilot Cholene stands out as an emotional powerhouse. She thanks her foster son Keer—who was cruelly blinded as a young boy when sold into slavery in south Sudan, but has since regained some sight after surgery—for making her a "better person … much more sensitive and committed and grateful for my own life." A gifted musician, Keer is shown playing drums and piano and says, "Music is a vibration of happiness." This story is so intense, you may have to take a few minutes to comport yourself before continuing your day and, perhaps, jumping on the ThankList site to create a video or text list of your own. These submissions, according to American Greetings, will be aggregated into "a collective, never-ending ThankList." For a purveyor of greeting cards and party favors, American Greetings is certainly thinking large and interactive with ThankList—way beyond the scope of its lauded, mega-viral "World's Toughest Job" campaign for Mother's Day last year. That video has amassed more than 23 million YouTube views and became something of a cultural phenomenon. ThankList probably won't scale those heights, but the trailer's topped 600,000 views in its first week, and Ron's story has more than 500,000. "Creating more meaningful connections between people isn't simply something we believe in," explains client president and COO John Beeder. "It's something we are actively doing, and ThankList is the perfect way to demonstrate that practicing gratitude is easy and impactful." Of course, like all advertising, these initiatives are ultimately self-serving. Still, their hearts are in the right place, and I'll gladly march to the beat. After all, the human condition can sometimes feel so thankless. Perhaps ThankList and similar campaigns will, to some degree, help make the world a kinder, more thoughtful place. I think we'd all be thankful for that.